At the very core of our values is Organic Commitment wherein we pledge to ensure all our products are organic and natural, without any chemicals or additives. The reason this value is so important to PT Coco Sugar Indonesia is because we are well aware of the kind of additives that go into everyday cane or table sugar. Further, among the many reasons for which consumers are increasingly tilting towards coconut sugar, its organic nature remains primary. Under such circumstances, we would of course not be doing justice to our very existence if we did not provide 100% organic and natural coconut sugar, hence our Organic Commitment. And mind you, this commitment remains central at every step of the coconut sugar creation process. So it is not a part of our existence – rather it is its very basis. Then also think about the plight of workers exposed to all kinds of chemicals in the manufacturing process of regular table sugar; in our case, with no chemicals being used whatsoever, there is no scope for adverse consequences coming the way of workers. Overall, we want to ensure that our contribution to society remains as holistic as possible. For instance, any addition of chemicals or additives, in our view, is akin to damaging society in one way or another, with possible risk bearers including the ecology, workers, and end consumers among others. By remaining natural and 100% resolute behind our Organic Commitment, there is really no element of risk per se to any of the risk bearers mentioned in the context of cane sugar. A very important pointer towards this assertion would be the coconut trees themselves which grow in abundance across Banyumas region where we are located…they have done so for centuries and our production of coconut sugar does not in any way hamper or adversely affect their growth. On the contrary, we take all steps possible to ensure that they continue to grow sans any concerns, irrespective of human presence or activity in the area. In the end, Organic Commitment is something that we take very, very seriously and certainly stand by, whatever the circumstances, so you can always be reassured of 100% pure, unadulterated coconut sugar from PT Coco Sugar Indonesia…ALWAYS. Notwithstanding a slew of protests right around the world, we increasingly see Genetically Modified foods (or GM foods) making their way to market shelves. Think fruits and vegetables such as papayas, corn products, soy products and even milk derivatives such as cheese, various attempts are being made to produce these items in genetically modified ways. In this regard, sugar too has been no exception, with glyphosate-resistant sugar beet being one form of genetically modified sugar that particularly came to the fore in markets like the United States. It is in this regard that we at PT Coco Sugar Indonesia take immense pride in our coconut sugar being 100% Non-GMO. Right from the start, when we first commenced operations, we were very clear that we would have absolutely nothing to do with any form of genetic modification. After all, natural foods are meant to be consumed “as is” whereby the nutritional value is maximum. As it is, if you look at the nutrition value of coconut sugar, you will find that it is packed with nutrients including essential minerals such as iron, potassium, magnesium and zinc along with a variety of different amino acids and vitamins like B1, B2, B3, and B6. Therefore, there is really no reason to genetically modify coconut sugar anyway, when even in its 100% natural form, it offers such a wide variety of benefits. On top of that, it is our own unique and resolute stance against genetic modification in foods which makes us so against it. After all, we look at it as nothing other than playing with nature, that too in ways which are largely completely unnecessary. In our view, a lot of the corporations indulging in such activities are doing so for personal gains and pure profiteering, rather than holding any real interest of the community at large, which they might feel is at stake if they did not genetically modify foods. Therefore, anytime you are dealing with PT Coco Sugar Indonesia, you can be assured of the 100% Non-GMO nature of our products. As we have always asserted, our products are created in completely natural ways, without any artificial additives or adulteration of any kind whatsoever. 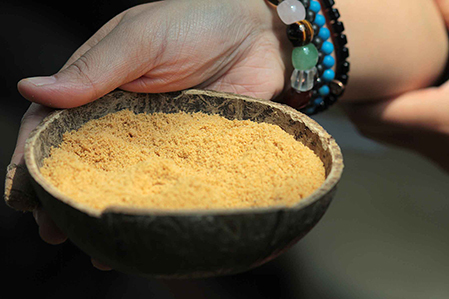 Therefore when you purchase coconut sugar or any of its related items such as coconut nectar or an entire coconut sugar block from us, you can be assured of the natural nature of the product in question – there has absolutely been no playing around with nature of any kind in the creation process. Accordingly, when you are looking for suitable sweeteners for yourself or your loved ones – which are 100% natural and organic, you can safely purchase from PT Coco Sugar Indonesia sans any concerns. We have always believed in Non-GMO and will do so as long as we are around. In our view, there is really no justification for playing around with nature, which is why when it comes to genetic modification of foods – as we witness ever so often these days, is a complete no-no for us. Central to the values of PT Coco Sugar Indonesia is Fair Trade where the attempt is to ensure that all stakeholders to the production of coconut sugar get the best possible conditions for trading, while ensuring sustainability in the process. This value is best understood by looking at the coconut sugar production process where there are farmers who first painstakingly climb atop coconut trees to tap the nectar from their flowers. This nectar is then collected together and boiled to remove moisture; the concentrated residual is what eventually goes on to form the coconut sugar that you have come to love. Across this entire process, Fair Trade remains pivotal – farmers get the best deal for their time and effort. The same is true for everyone who works on converting the coconut nectar to coconut sugar. This same aspect continues even while we work on labeling and packaging the final product to ship to customers like you. In the absence of Fair Trade there is bound to be exploitation of workers at every stage of the initial set of processes – low, exploitative wages being paid out to them, working in poor working conditions, and so on. None of that ever applies in case of PT Coco Sugar Indonesia – workers get paid as per high industry standards and work in some of the most worker friendly conditions possible. At no stage is there any kind of coercion whatsoever. All of this makes us a player which is not only bringing to you a product which is nutritious and healthy, but also one which is contributing in a big way to the betterment of society. For instance, selling our final output very cheaply is NOT our aim; instead we strive to receive the best possible prices for it. That way, we in turn can ensure all that we have mentioned above – high quality wages for workers that are in line with or exceed industry standards, along with excellent working conditions that workers thrive working in. Moreover, at PT Coco Sugar Indonesia we go beyond only the workers themselves, to their families and society as a whole wherein the ultimate goal is to ensure the welfare of the entire community. For instance, thanks to the quality wages received by workers, they can in turn ensure worthy homes for themselves while also making sure that their children go to school and get an education for themselves that will safeguard their future. Nowhere else is this core value of Fair Trade more obvious than in the Banyumas region of Indonesia, which happens to be the center of organic coconut sugar production in the country. As you look around, you will find that thanks to a wide range of initiatives from PT Coco Sugar Indonesia, there has been all-round benefit coming the way of coconut sugar stakeholders in the community. If it wasn’t for our vehement assertion in favor of Fair Trade such progress would have been hard to make. No doubt as we look into the future, we will continue to do everything possible to ensure that Fair Trade remain sat the very core of our values. Sustainability is at the very core of our values. The Banyumas region of Java – where we are situated has traditionally had coconut trees growing there for centuries. This is no doubt a custom that we would like to keep alive for years to come which is why we function in a manner which is sustainable not only to us and to our immediate stakeholders but indeed to the entire community and society as a whole. There are various instances which amplify our Sustainability value. For instance, there is absolutely no felling of trees or even any kind of harm done to these trees, in the process of coconut sugar production. 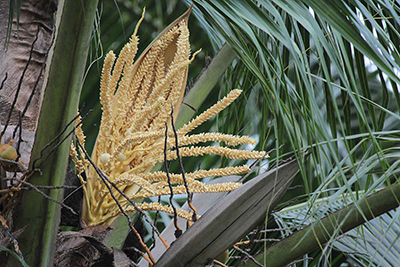 Notwithstanding extraction of coconut nectar from them, they continue to grow sans any concerns. Moreover, the soil in which they grow is not played around with any way – no chemicals, no fertilizers, etc. added to it. That way there is absolutely no harm taking place to the soil, which would otherwise no doubt have adverse effects. The coconut trees grow completely on their own – NATURALLY – and we do not in any way do anything unnatural to facilitate their growth or even come in the way of nature. Then when one talks about Sustainability a very important aspect is that of long term prosperity of otherwise marginalized stakeholders to the coconut sugar production process. To give you an example, we often see that workers at the lower end of the strata end up living economically and socially weakened lives. In the case of PT Coco Sugar Indonesia, things are completely the opposite where empowerment is well and truly the mantra. For instance pay scales for these workers tend to be among the highest possible. That in turn ensures that they, along with their families, can lead a high quality life on various spheres. Then around these coconut trees cultivation areas, we have worked hard on creating entire communities where life as a whole is prosperous for these stakeholders. To give you an example, children of these workers go to schools nearby where they receive quality education. Then all basic amenities of life such as housing, drinking water, electricity, sanitation, etc. are amply taken care of so that these same individuals do not have to worry about primary necessities. So as you can see, on the Sustainability front we do everything possible to create a community which basks in the glory of coconut sugar production. And at the end of the day, it is really your patronage which makes it all possible. Otherwise, we would not have been able to create such a wonderful eco-system where folks from otherwise marginalized sections of society can thrive and prosper. At PT Coco Sugar Indonesia, this will always remain one of our foremost values for which we will do everything possible, whatever it takes. All we expect from you is your continued patronage of our products which we bring to you with concerted effort, with full knowledge of their superior quality and wholesomeness.